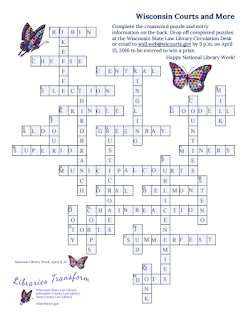 Did you fill out our crossword puzzle, Wisconsin Courts & More? You can check your answers now by downloading the answer key. Thanks for playing! Check your answers with our answer key.